Thirukkurral is an amazing piece of work in Tamil literature, written by poet and philosopher Thiruvalluvar, (one also uses Kurral and Valluvar, with the prefix Thiru adding a touch of holiness to them). He is thought to have lived some two thousand years ago. The work consists of 1330 couplets, arranged in 130 chapters spanning three major themes of virtue, wealth and love. The literary beauty of Thirukkurral is in the packing density of information. An often quoted analogy, by those who do not have competence in calculating the necessary pressure and volume, is to make you imagine drilling a hole in a mustard seed and pumping all the water in the oceans into it. But in terms of information content, I bet if a DNA molecule were to study Thirukkurral , it would hang its head in shame. A second important thing about Thirukkurral is that it is not a holy book that acts as an interface between man and stone. Its verses observe far more than they prescribe. Promises of reward for good behaviour and threats of punishment for trespass are generally kept to a minimum. Yet the demarcation of boundaries between good and bad along each of the three axes of the poet’s interest are communicated with exceptional skill. 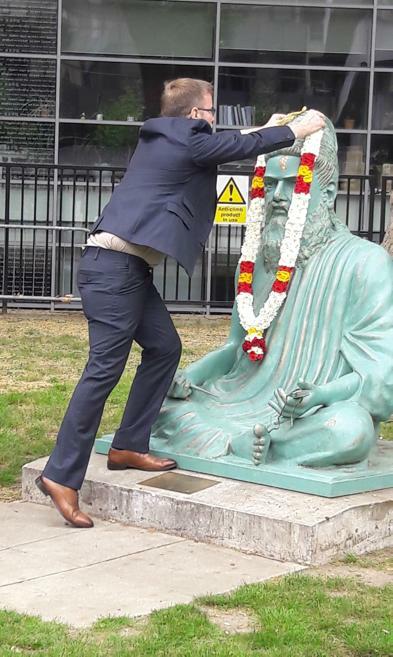 That being the case, when the School of Oriental and African Studies (SOAS) organised a day of celebration for Thiruvalluvar, my drinking partner in Bridgetown — the Sri Lankan Tamil fellow by the name Sivapuranam Thevaram — insisted that we travel down to the capital and attend the event. Browsing to register for the event, we discovered that SOAS has had a statue of Thiruvalluar at its entrance for some 20 years. The humble man with amazing thought and command of language would also now think of himself as photogenic, for by now he would have featured in the graduation photographs of hundreds of SOAS students. My own first reaction, I confess, was to take a selfie with him within a few minutes of arriving at the School. This question was followed by a few minutes of deadly silence between us contemplating how many of the 1300 couplets we ourselves knew! I pulled out my copy of Thirukkurral from my rucksack and started counting. There were 58 I had come across before and could tell the meaning of in some detail. Of these, I could only recall 26 by heart if prompted with the first word. “I know 27!” claimed my friend, beating me by one. We joined the SOAS event with a sense of embarrassment. Of what is hailed as the finest literary work in our language, a language we hold dear in our hearts as one of the oldest among those now living, one in whose name we as a community sent thousands of kids to kill themselves, the two of us knew just about 2%. Shameful. Even if we had learnt one couplet a year, we should have covered over twice that. The SOAS celebrations consisted of garlanding the poet’s statue, some talks, dance and music, and a panel discussion. Despite the weather forecast, the afternoon was pleasant. In the talks, we were told funding cuts to universities and the recent imposition of fees (£ 9,000 for students in the UK) meant SOAS no longer teaches Tamil. Gone are the days of direct government funding so some disciplines could sustain the luxury of professors outnumbering students, the Faculty Dean said. Some languages like Arabic and Chinese are better resourced due to the economic muscle they wield and the fear they inject. It would appear that Rajendra Chozan’s memory, so eloquently captured in Kalki’s Ponniyin Selvan, isn’t enough to help Tamils punch at the same level. SOAS was looking to generate endowments and other sources of funding to kick start activity in several minority languages including Tamil, and had ambitions of establishing a chair in Tamil studies. Another speaker said there were efforts to raise the statue and seat him on a pedestal a few feet higher. The dance performance was sweet. Seeing dance mentioned in the programme, my friend and I were preparing for the usual – the young boy-god Krishna stealing butter from the fridge! But this was creative and adventurous, a special choreography of five couplets in Thirukkurral. Though it took us both some effort to relate the kurrals being depicted to the abinayam (dance gestures) in places, we enjoyed the dance very much. A short recital of some kurrals by children showed the challenges of accurately articulating the phonetic and syllable-stress patterns of Tamil by those whose first language is from the Indo-European family. But the kids did a far better job than Tamil announcements herd in flights of Sri Lankan Airline. The panel discussion was intriguing. Though the chair seemed to have done her homework probably by watching BBC’s Question Time for tips on how to conduct the show, she struggled a little initially. One of the panellists started by confessing “in Tamil there are commas, but no full stops, so please stop me if I take too long,” and then went on to demonstrate this to be true. The majority of those who asked questions and the panellists in their replies took very long to make simple points. Not only native speakers of Tamil, but those who spent time educating themselves in the language also seemed to have acquired this trait. The poet who “packed the oceans into mustard seed” probably turned in his grave. But overall she controlled the discussions well. 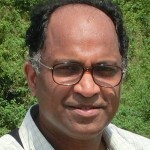 The questions posed were sensible, and ranged from how to preserve the language, how to be effective in educating the next generation, what the role of SOAS and the relevance of its ambition could be, and what is the relevance of Thirukkurral itself in the 21st century. If you learn Tamil from Romanised (Latinised) script you miss a lot of the phonetics, opined a seasoned scholar, citing the last retroflex consonant of the word Tamil itself as an example. A sharp comment from a member in the audience claimed that in writing /Tamil/ instead of /Thamil/, the SOAS organisers had erred. Of particular note was mention of a regular Tamil reading group, meeting the last Saturday of each month in a London suburban library to discuss Tamil literature. The topic is notified two weeks in advance and participants study the work and come prepared to discuss the content and their own take on the work, the joy embedded in it and its relevance to the modern world. So what exactly is the relevance of Thirukkurral today? For those competent in the Tamil language, the beauty with which the poet compresses information is a joy to read and appreciate. The semantics he expresses continues to be largely relevant, precisely because he doesn’t try to be overly prescriptive. His thought is so amazingly liberal and beautifully sensitive that disappointment awaits anyone whose wish is to turn Kurral into a holy book or Valluvar into a godly saint. Magic is not the intention of his masterly piece of literature. If we were to live by what he observes as right, we will have to give up many of our societal evils — rituals, social stratifications and hierarchies – which we hold so dear and try to propagate under the banner of “our culture.” There are very few places in his work of two thousand years ago that we could fault by the application of modern standards. On our way back, I challenged my friend Thevaram on kurral’s relevance. He took a different view to that of mine, claiming that the couplets should be treated with reverence, his suggestions should be treated as instructions and we should aim to live by them. Were we to outside their specifications, we will be punished for our trespasses. For example, he said, “katka, kasadara (learn thoroughly)” says to students they should not just do the assignment set by the lecturer, but go deep into the underlying material by self-study and gain clear insights. “If they don’t do that, machan, I normally fail them,” he said, referring to his day job. I was now keen to know how he beat me by one in the number of kurrals we knew (his 27 against my 26). “Here is it,” my friend said and took from his bag a beermat upon which he had written that special couplet. He also showed me a picture of himself taken three weeks ago after his visit to the Bridgetown hospital’s Oddakappulam (fracture clinic) section. His handwriting being poor, I have written it out (and provided a translation) in the picture below. In true Tamil tradition there are no commas either, so that Tamils do not pause between words phrases or sentences. Kural itself is predominantly Jain with some Buddhist influence and appeared when Jains were busy teaching Tamils ethics and grammar. Kural was rediscovered much after the period of the later epics. With no Jains to protect, Valluvar was readily converted to Saivaism (with ash on the forehead). As a result, I was forced in Grade 8 to memorize 100 kuRals under Saivaisam and only a comparable number of thevarams (nothing to do with Prof N’s drinking partner). I have forgotten most of them so Prof N & T may beat me by a few. Thevaram’s bogus couplet itself is in breach of grammatical rules for KuraL. Failure of Jainism because it tried to teach ethics to Tamils is certainly a plausible theory! How can you teach ethics to Tamils who followed Hinduism, when the Hindu Scriptures itself promoted castism? The aberrant tradition and practice still, continues in India and Sri Lanka. Most of us think of caste oppression through the lens of the “outdated” practice of untouchability, violent caste clashes in the distant countryside and in lavish biopics on the silver screen. But caste is alive in our homes and streets. 1. Hindusism is not a single religion; and little is common among the various Hinduisms be it belief, text, or gods. 2. Caste existed in India as division of labour and class stratification before Brahminic influence; it was not an Aryan conspiracy. Brahminic Hinduism blended caste with the ‘varna’ concept which was already ‘divine order’. Untouchability entered the picture afterwards. Consolidation of the Brahminic religion and assimilation of various Indian faiths to ‘Hinduism’ was a later phenomenon too. Aadhi Shankara around 8th-9th Century played a central role in sealing the fate of Buddhism in India. The ‘Hinduisms’ in forms we recognize know are post-Shankara. Tamil society had gods that got gradually integrated into the Hindu pantheon in course of time. Brahminic religions were not overwhelmingly powerful in India. Asoka’s ancestors were sponsored various non-Brahminic faiths. Influence of Buddhism and Jainism in Tamil society was strong until after the Pallava king Mahendravarman; despite rivalry for royal patronage there is little evidence of religious conflict within society. Of the five old classics in Tamil two were Buddhist and three Jain. Jains did much for grammar, and along with Buddhists contributed much to ethics. Caste hierarchy was rejected by a few Saiva saints and rather effectively by a Vaishnava saint. The non-Brahmin Siddha tradition too rejected caste, ritual and much superstition. After Rajaraja Chola the Castism re-established itself strongly. Today, the upholders of caste in India are no more the Brahmins themselves. Various layers of the hierarchy defend it fiercely. In fairness, Tamilnadu (thanks to Periyar EVR) when it comes to caste is a far better place than regions to its north. Those are usual, SJ’s special version. But the truth:. There are mainly four times the Tamil grammar edited. Agasthiyar (completely lost), Tholkappiyar (Almost all there) Veeramamunivar( probably lost) and Punditji SJ, 100 % fully saved in CT. SJ-Stalinist, Veeramamunivar-Christian and other two are salivates-Hindus. Other than that, I am not aware that Buddhists or Jains have entered into Grammar teaching. Out of entire Tamil Historty, thier influence was for 300 years. During their time, the previously religiously neutral Tamils changed over to write religious books only. Chilapathikaram was written by King Senkuttvan’s brother. There is legend that when they two were boys, a horoscope reader said to king(father) the younger one going to the ruler because comparing the horoscope, his one was much more brighter than elder’s. Elder one threw a sword to Ilanko and challenged if he was man, instead of plotting against him, to take it and fight with him. Ilango swore to him “Brother I will never ever challenge for this kingdom by my greed. You have it and I go out.” He left but boys’ parents never came to know how what happened to him. The legend says the lonely boy was kidnapped and converted to Jainism. This is not told in the book by Illanako. I base my comments on people like Vaiyapuripillai who are less inormed than you, so please bear with me. May I know where your version of the life of Ilanko appeared? May I know where your version of the life of Ilanko appeared? Yarlpana Mudaliar- 7th Grade “Tamil Malar”. A super grade text -varnanai for composition. If you find is please translate and put it here, that was shown to us for how to write Literature grade Varnani. Ramayan and Mahabharata are Tamil legend put in Sanskrit by relevant authors, the Then again put back in Tamil in Chola Period. Mahabarath may have been translated by Peumdevanar right after the Sangam Period. My memory of those information is failing check the web for accurate info. Instead of Vaiyapuri Pillai, good selection will be, please skip back another century and bring it from Arumuga Navalar. With sensational texts of ‘history’ like this, we dare to laugh at the fiction of the Mahavansa? So it is not Vaiyapuripillai alone that you seem to surpass— no objective historian has a chance with your kind of research. Traslation: You are king of a country with prosperous towns! The sky is your limit! field fighting furiously against the five whose horses wore swaying plumes! Meaning: “Great Rice donner King, Uthiyan Cheralathan” distributed rice to Pandava and Kaurava during the war time. He has the fertile land to this. You are the greatest comedy piece in this web side SJ. Who was your Tamil teacher? Probably he might have been in high need of New King’s Thirukkaiwaal to put a Tamil words into your mouth. Some of the ettuthokai verses were of later period: . . . . . .
***”The recorded history of the Chera dynasty is broadly divided into two phases. The First Chera Empire from 4th century BCE to 5th century CE. And the Second Chera Empire also known as the Kulasekhara empire (8th century CE – 12th century CE). Little is known about the Cheras before these periods” [see: https://en.wikipedia.org/wiki/Chera_dynasty%5D . . . . . . Such an interesting narrative will have survived like the five classics…..
*** Tamils have their maha-mahavansas with claims overtaking Baron Munchausen. . . . . .
***Tamil pundits are weak in two subjects: history and arithmetic. SJ this is from Purananuru, so don’t mix Ettuthokai here. Other Ettuthokai writing are suspected as latter ones. Not Purananuru. Purananuru is the oldest in all Ettuthokai. If you have had read something somewhere just don’t confuse everything into that. Paripadal, which has religious flavor, is cited as latter days’ culture, probably just before 63 Nayanmars. In all other cases you have to prove individually that it is latter days poems. Still very sorry that you didn’t know that Perumdevanar had translated Mahabharat and it was lost, probably by anti-Hindu activities during the Kalapriya dark days. Further that was not the only reference of Mahabharat story in Sangam time, though I cited that one for you. Proving Cherar time is complicated. Keralite do not want them to be identified as Tamils. So their culture is now depended let to only with the leftover Tamil poems. Keralites have dropped all legends circulated within them about their life if it referred to Tamil times. So I do not want to go into General Discussion of Keralites. This a Purananuru poem. That is a Sangam poem. When he reappeared in the in the scene he was like Chief Minister of the king (Brother). He looked like followed Hinduism at this life again. Whatever his life was, like Valluvar he did know all three religions. When premonitions appeared that Kannagi going to have very bad fate, the Kuravayar made a prayer to Krishna in the late night. It contained dancing and singing, the usual “Hare Rama Hare Krishna” style. At the end Meenakshi and Shiva came down to reattach Kovalan head and send him to angel world (haven). They took Kannagi with them (So she became a Hindu goddess). Poet is mentioning that Poompuhar was taken over by sea because (subsequent) king did not have the celebration for Indran (Indran probably the first Hindu god ever appeared). The gods mentioned above are Muruga, Shiva, Krishna, Indran and Brahma and Veda Holy Book. So, The story took place under Hindu setting. The influence of DMK over the Chilapathikaram is making it be treated as a non-religious book these days. Remember, it is not DMK’s atheistic story. No! The readers are not considering this as punishment for trespassing. We are not easily fooled. We profess this as the beginning for greater enlightenment. As we say the journey of the might always originate with a humble beginning. – like a raindrop into a mighty river with tributaries. Good luck. 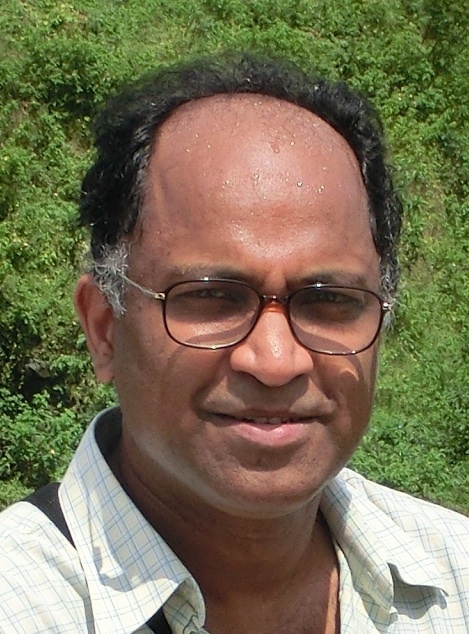 Did you read Laksri Fernando’s recent creation? -Occasional stories: murder in the Hotel & the reviews – A must read. What a brainstorm from a reputed intellect!! Karunanidhi’s two abilities are talked well, many times. His political ability-cunningness and his artistic poetical mind. I see him mainly as an artist than his failed politics. The reason is, well after I was grown up, I had come to know about his Kuraloviyam. All old great works have commentaries, but Kuraloviyam is not a commentary. It brings out the artistic side of the Kural. 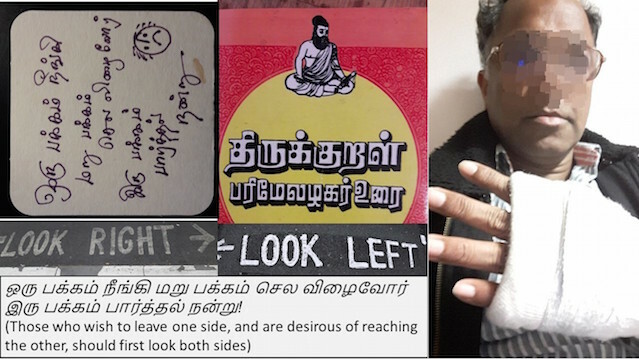 We, most of us, look at Thirukural as a book of virtue… Ethical Book, philosophical book….. But if one look at it does contain two line couplets – in real sense two line stand alone poems. In an ethics or law book, one would look for codes. The great epic works of Sanskrit is done in Slogas. But Thirukural is consisting 100% of sweet poems. This is an unexpected unique feature of an ethic book. I believe there are about 40 some commentaries for Thirukural. But very few of them are identifying the extent of the poetical nature of the book. If one sees entertainment with Shakespeare or Sakunthalam, there is every possibility that one will be entrained by Thirukural; there we assume that one is not interested in Ethics or Philosophy. Otherwise where do you categorize these couplets in pure ethics, where it says “When you look at it (the girl) looking at the land, but you cease, then looking at you and smiling” or ”Hey moon, go and get a face like the one of my girlfriend, then you can have as many boyfriends you want; don’t have to be lonely up there”.? Karunanidhi wrote his commentary(or Urai) to Thirukural to tint it the with the Dravidian Parties’ Atheistic philosophy. Then he noticed the unique poetical nature of those couplets and wrote his Kuraloviyam. The fascination of his work and the nature of Kurals have induced me too to do that kind of trails and who read me in Tamil knows those. The problem is the extensive nature of the language need to those trials render that I cannot bring them here. Getting a satisfactory English translation seems to be next impossible within my means. I got some English PhDs’ promise but never materialized. If ever CT opens a Tamil section, I can bring them as they are or even post some new ones. Incidentally, about a couple of years ago, I happened to meet at beach one of my A/L mate; but he was doing arts that time. Those days, he was very good in Tamil, but I was in Math & science section. We, watching the setting sun, talked about our fading memories of those days. There were crabs on the beach crawling out to the land and when tried to tease and play with, temporarily backing off to sea and eventually creeping into the grassland and vanishing on their business. Let me say that he who knows no Tirukkural knows no Tamil. Tamil literature has global recognition, owing to our classic Tirukkural. Every Tamil wants to write about Tirukkural. Are these men trying to draw attention to the Kurals or to Valluvar himself? Can any of these men earn a higher recognition for Tirukkural than what it already has. Now, to the punditry of the spelling, ‘Thirukkurral’. T-A-M-I-L is the spelling the Englishman has accorded Tamil. Why would one want to spell it ‘Thamil’. Why mess with his way of spelling? Likewise, Tirukkural is perfectly fine. Do you speak, read, write and think in Tamil, THAMIZH or Damil? I am a little hesitant to answer your question. It could be unwise to respond, without knowing the intention behind your ‘poking’. Linguists will tell you that only those who are able to THINK in the language could claim to ‘know’ that language. I ‘know’ more than a couple of languages. You too belong there! Be a man give it a try. There is no hidden agenda though. A learned friend once told me longer ago that the true test is not whether you spoke, read, wrote or thought in a subject but whether your DREAMT in it. Is it a necessary condition whether one has the ability to make love in it? Talking dirty should come naturally. thirrukurralai padap pada vai mannakum(singing thirukkurall,your mouth smells nice. If mouth smelling fresh is your goal, I suggest Signal toothpaste. thirukkurral or thiruppukal,what does it matter. (example pukkai rice in tamil or pukka rice in sinhalese)I never use toothpaste. If you keep on singing the 47th couplet as i do,you don’t need toothpaste. You have made a mistake. What is the point in arguing about it ? Just say you have made a mistake and move on. Accepting a mistake is the most difficult thing for Tamils/Sinhalese to do. You must be a Tamil or Sinhalese or both. what about trump.he also never admits a mistake.if he loses he makes it into a victory,like his case on discrimination against blacks as tenants to his apartments.You have a special grudge against sinhalese and tamils because they took your lands.If not for them would you have a civilisation,kings,kingdoms etc.The british would have just said terra nullis(uninhabited except for nomadic uncivilised tribes) and would have never left like in Australia and you would be still a country of white settlers who would not have allowed you to assimilate with them and would have segregated you to the forests. How are you going to handle your hubby? . If yours is an open marriage then fine. Say hello to B&D. BTW she must be singing the thiruppuhal in heaven now. What would Mr. Sivapuranam Thevaram’s family back in his village think of him, now that you have exposed him as your drinking partner?